Before I start, let me just clarify my rating system, just in case people think my rating is unfair. I rate books by how much I enjoy them, how much they move me, and how entertained I am. 6+ means this book was beyond anything I could have felt. 5 Hearts means that it was extremely entertaining, touching, moving, whatever. 4 Hearts is around my average, saying I felt something, and was entertained but it could have been better or just didn’t cut it for me. 3 and below…well maybe the book just wasn’t for me. 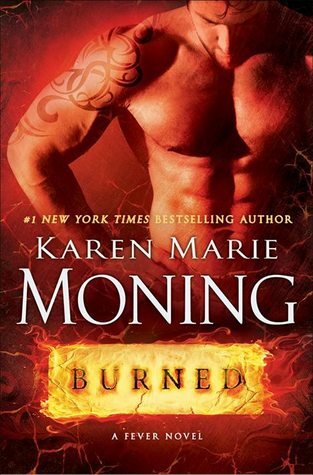 Burned is the seventh and HIGHLY ANTICIPATED continuation in the Fever Series by Karen Marie Moning. I can’t tell you how long I’ve waited for this book, how much I cried over it, how much I agonized over it being constantly pushed back. This was the series that got me into reading; this is the series that changed my life. I can’t say enough good things about the Fever series and about this amazing installment, but unfortunately out of all the books KMM has written, Burned has turned out to be my least favourite. After the events in Iced, Christian has been captured by the Crimson Hag, Cruce is still in ice under the Abbey, the Hoar Frost King has been defeated, and Mac is back, possibly seeking revenge on the person who killed her sister. Now that the ice left by Hoar Frost King is starting to melt people are starting to become testy. Alliances form, new enemies gather, and Dani who was once Mac’s best friend is now a sworn enemy. Tensions run high between the Seelie, Unseelie and sidhe-seers when they all agree that saving Christian MacKeltar has become a priority. But can they trust each other long enough to save him? And can Mac trust anyone other than herself? I have A LOT to say about this installment so I’ll try to make it brief. Did I like this book? Yes. Did I enjoy this book? It had its merits. Did I feel it lived up to the Fever Series title? Yes and No. There has been a lot of controversy and mixed reviews about this highly anticipated novel that got pushed back almost 2 YEARS, for various reasons. One thing I will say is that because of all the personal events that happened in KMM’s life, and the time between Iced and Burned and maybe even between Shadowfever and Iced, I feel like KMM sort of…lost her way. These two books feel….somewhat disconnected from the series, and I get that Dani was originally supposed to get 2-3 books to herself but now it just…feels like reading these books was a waste, like in Burned, KMM tried to please more people or erase the events of what happened in Iced. I’M NOT SAYING I would unread them or wish I hadn’t read them, but these books don’t feel like a fully formed idea and that KMM was really just grasping at straws, trying to continue a series that maybe….should have ended at book five. I sometimes wonder if our passion is so obsessive and enormous that we need distance between the bonfires. I’m a moth to his flame and it frightens me how willingly I’d turn my wings off for him. Destroy the world. Follow him to Hell. It’s scary to feel like you can’t breathe without someone. That a man has so much power over you because you love him as much as, if not than, you care for yourself. Some of Part 2 and Part 3-4 were what brought me back to the original Fever series (book 1-5). 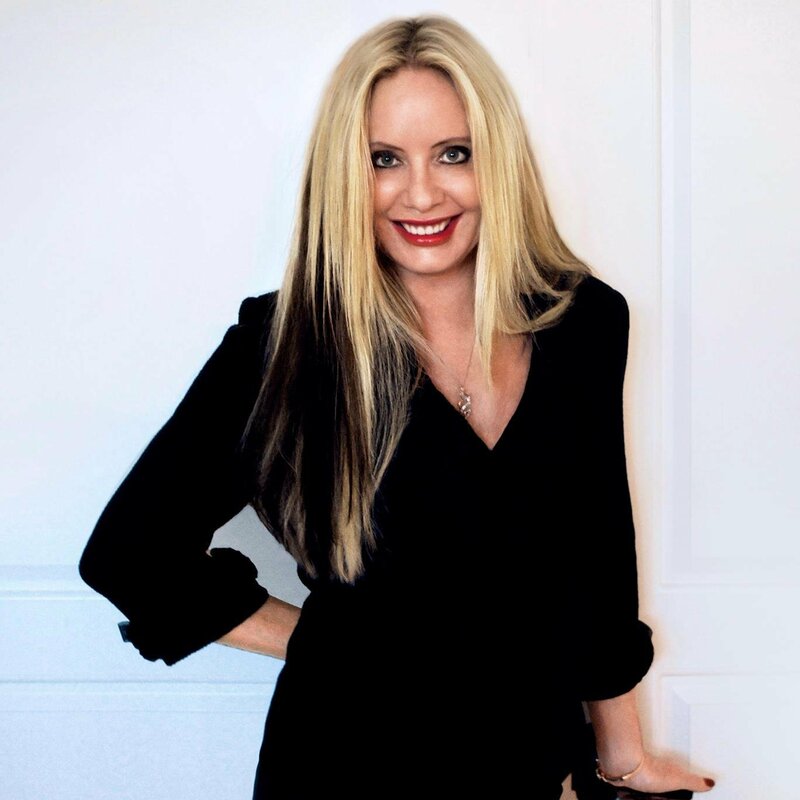 I was anxious to read the next chapter, I was on the edge of my seat, my stomach was in knots, I was laughing at every witty thing everyone said, like it was good times again. It was fast-paced, it was interesting and it just felt right again. I will admit to enjoying the new POVs and discovering A WHOLE LOT about the Nine and Ryodan, who I have an even bigger respect for now (As if I didn’t respect him enough before). There was a lot of good in this book and a whole lot of bad to counter it. To be completely honest I didn’t have a lot of hope for this book to begin with. After it being pushed back for so long I said, “This book has to be the best thing I’ve ever read for me to accept it.” Because my problem was, was that KMM gave a definitive date every time she pushed the book back, instead of just saying “Released in 2014” or 2015. My problem was a release date was like a promise to her fans that she broke multiple times. Again, I get a lot of personal things happened to her but every time she set the date back and broke that promise I couldn’t help but feel crushed. I don’t expect much of Feverborn, and won’t be surprised if she pushes the date back again.